Injectables | Stephen P. Beals, M.D. Dr. Beals and his staff have seen non-surgical cosmetic procedures rise in popularity considerably over the past few years. Injectable treatments are the most popular type of these procedures. These types of "lunchtime" treatments can give patients a refreshed and rejuvenated look at a minimal cost, with little to no downtime. 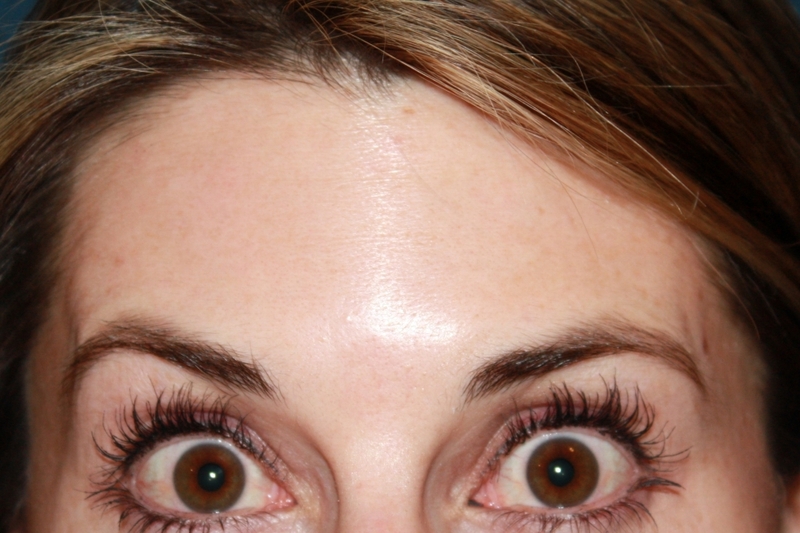 Glabella (between brows), central forehead and crow's feet were treated with a total of 52 units of Botox Cosmetic. 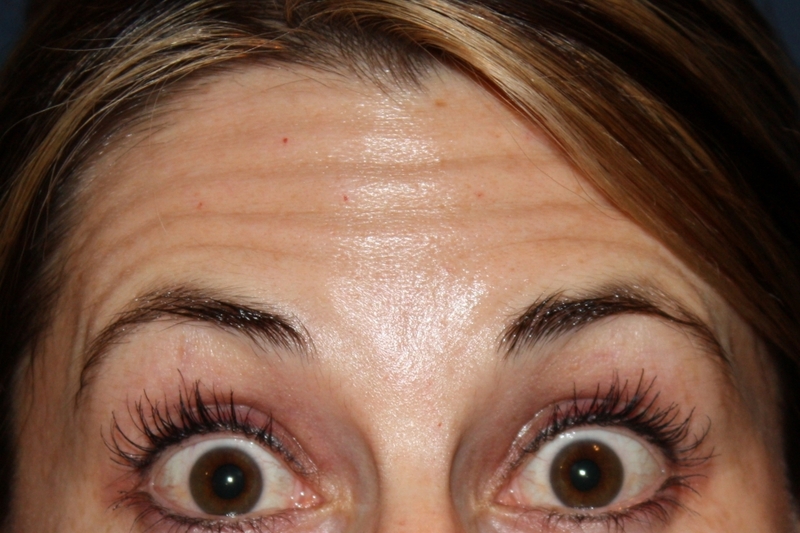 After photos were taken approximately 2 weeks post-treatment. The Stephen P Beals MD, Skin and Laser Center provides services for injectables and fillers. These three treatments are administered only by our highly trained and experienced Registered Nurses. Botox Cosmetic is a purified protein that has been used therapeutically for over 15 years to treat a variety of medical conditions. Since 2002 it has been FDA-approved for cosmetic treatments and is the most popular non-surgical facial treatment in the U.S. It is highly effective and safe. As we age, the skin becomes less elastic and repeated facial expressions such as frowning and smiling can result in fine lines and wrinkles. 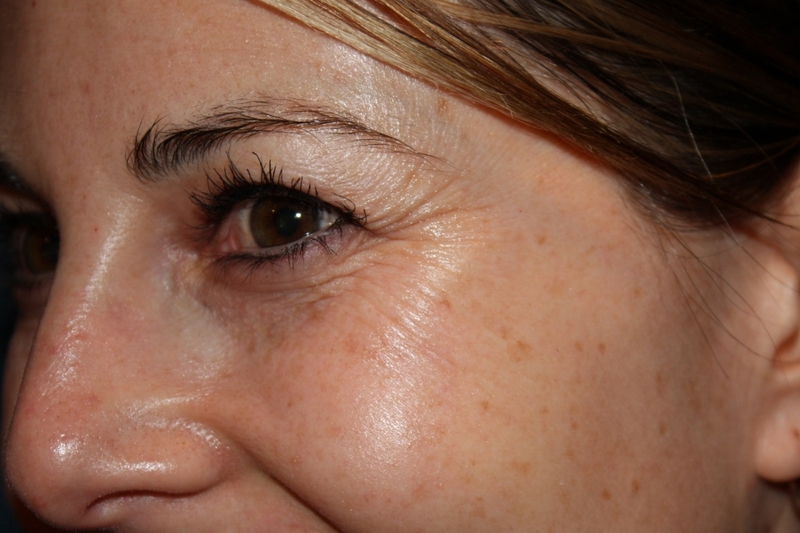 Many patients elect to use Botox to help soften and smooth these lines, as well as use it as a wrinkle-preventive. Studies have also supported that Botox is effective in relieving migraine headaches. Botox is one of the simplest procedures with one of the most dramatic responses. Botox treatment takes just minutes and no anesthesia is required, but if you are pain sensitive, we would be happy to apply topical numbing. Following treatment, you may resume normal activities and reapply makeup as needed. You should expect to see immediate results within 2-7 days and results typically last 3-4 months. Only licensed and trained healthcare professionals have the experience necessary to administer Botox. Dr. Beals' registered nurses have many years of injection experience and only use authentic Botox at the full manufacturer recommended strength. This insures your safety and the results you expect. For your Scottsdale and Paradise Valley Botox needs, trust Dr. Beals and his staff. Juvederm, Voluma, Volbella and Vollure are injectable dermal fillers used to replace volume and fill in facial lines and wrinkles, plumping and lifting cheeks and for lip augmentation. This soft, clear gel is formulated with hyaluronic acid (HA), which occurs naturally in many parts of the body for hydration, moisturizing and cushioning. As we age, our skin changes and reduces production of HA .Over time, this results in facial wrinkles and folds, like those "parentheses" lines around your mouth. HA fillers are used to add volume and smooth the skin, while keeping the skin hydrated by attracting water molecules. The results are soft, subtle, and very natural and you will see the difference immediately! HA fillers are non-animal products, so there are limited, if any risks of adverse or allergic reactions. HA fillers' results last 8-12 months, depending on the product used, volume injected, area treated, and patient skin type. After that, the product gradually degrades and is absorbed by your body. Treatments are quick and easy and fit well into a busy lifestyle. You may experience some redness and swelling in the treatment area, but you can usually resume regular activities, such as going back to work, right away.